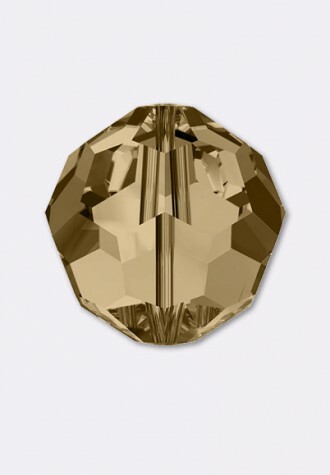 For a striking display, try this Swarovski 5000 crystal faceted round. Displaying a classic round shape and multiple facets, this bead can be added to any project for a burst of sparkle. The simple yet elegant style makes this bead an excellent supply to have on hand, because you can use it nearly anywhere. This bead is small and versatile in size, so try it in necklaces, bracelets, and earrings. It features a stunning clear color.